We're listening along with Apple's Q4 2012 financial results conference call and we'll be jotting down notes as we go. Peter Oppenheimer: 4.9 million Macs. 1% growth. New record. Compares to 8% contraction of market. Portables grew 9%. 80% of Mac mix. 3-4 weeks of inventory, below range of 5-6. Talks about new Macs. 5.2 million iPods. iPod touch still over half. Still over 70% of market. Continues to be top seller in most markets they track. Talks about new iPods. iTunes record results. Almost 2.1 billion thanks to music, apps, video. Launching new iTunes (iTunes 11). Talking about new iTunes. iPhone sold 26.9 million. 58% year over year growth, compared to 45% of smartphone market overall. iPhone 5 demand phenomenal. Talks about new iPhone. Demand still outstrips supply. Ended with 9.1 million in channel inventory, up 800,0000. Below 4-6 weeks of inventory. Revenue was 17.1 billion. Increased 56%. Talks iPhone in business. Canon uses them for secure CRM system. Amtrak deployed thousands to train conductors, ticketing, workflow. Custom app. Revolutionized paper based process. BBC, CTV, WSJ are using iPhone cameras to capture HD video for broadcast on TV and web. iPad 14 million sold. Increase of 26%. Ahead of expectations. Strong year-over-year in every region. Talks iPad mini. Talks 4th gen iPad. Revenue was 7.5 billion. Up 9%. 3.4 million in inventory. Up 200,000. Just over 4 weeks of inventory target. Talks iPad in industry. VW has over 30 in-house apps across the company. Monitoring, scheduling, customer greeting apps. Ping An insurance in China. Car accident inspectors. Brazil Bank using iPads. Completing customer transactions, inform and educate customers. iOS devices 44 million sold in September Q. Over 700,000 apps. 250,000 iPad apps. New Q record. 6.5 billion in cumulative payments to developers. Over 200,000,000 iOS 6 devices. Talks iOS 6. Number of improvements to maps, will work non-stop until it lives up to standards. Apple Store up 18%. Best iPhone launch ever. New Q record for Mac sales. 18 new stores in 10 countries, first store in Sweden, second in Hong Kong. 390 stores, 140 outside US. 11.2 million revenue on avergae per store. 94 million visitors. Up 22%. 19,000 per store per week on average. 121.3 billion in cash at the end of Q (after dividend payout). Up 4 billion. 83 billion offshore. December Q will span 13 weeks, not 14 like last year. Last week 1/14th of total revenue. Expects 52 billion. Expects margin to be 36%. 200 million iOS devices, 58 million iPads, 35 million iPods. 63 countries for iTunes music. 190 million iCloud users. Strongest line up ever. Q: Why will EPR go down despite new lineup? PO: Change year over year being driven by loss of 14th week, this time normal 13 weeks. Stronger US dollar. Change in gross margin. Most prolific product history, unprecendent, record level of demand. 80% of total December revenue. Costs associated with demand. New form factors. All have higher costs, lower gross margins, height of cost curve. Nothing new. Sheer number of new products in short period of time. Lowered cost of iPhone 4 and iPhone 4S. Strongest iPhone lineup ever. iPhone 4 starting at free. iPad mini priced aggressively. Gross margin significantly lower than average. 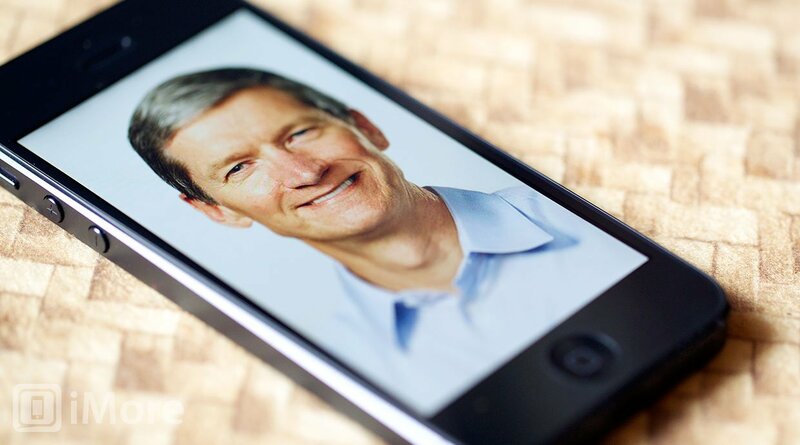 Tim Cook: Dedicated to making best products in the world, think of smallest of details, unwilling to cut corners. Relentless commitment to excellence. Reason customers buy their products. Managing the company for the long run, make long term decisions. Confident in strategy. Will delight customers. Q: Supply ramp for iPhone 5 for holiday? TC: Demand for iPhone is extremely robust. Thrilled. Significant backlog right now. Output has improved significantly since earlier in the month. Pleased with progress, please with output. Largest volume ramp in Apple history. Confident in ability to supply. Q: Continue to anticipate rolling out to all 100 countries this Q? Impact on cost of goods sold to decline? TC: Still anticipate rolling out to the 100 countries. Fastest rollout ever. Large countries in December. Each new product has learning curves for ramping production. Now is no exception. Difference is the number of new products at once. Most prolific period in history. Past 6 weeks have been phenomenal in terms of introductions. Doesn't see costs accelerating on per-unit basis. Production ramp across many new products. Q: Any chance of larger tablets? Incremental PC functionality? TC: Don't comment on future views on products and roadmaps. Continue to be confident that tablet market will surpass PC market. Incredible development in ecosystem and product in tablet space. Already compelling. Particularly an iPad over PC. Enormous opportunity for Apple. 80-90 million PCs sold. iPad family will all be extremely popular in lieu of PCs. Extremely pleased to launch iPad mini. TC: Revenue was 5.7 billion, up 26%. Mac was up 46%. Launched portables in july. iPad up 45%. iPhone was up 38%. Fantastic Q. Full fiscal revenue number of 23.8 billion for China. Up 10-billion, 78% year-over-year. 15% of Apple. Extremely happy. Expanding retail, partners. Extremely exciting. Q: Surface, Windows 8 tablets? TC: Haven't played with a Surface yet. It's a fairly compromised, confusing product. One of the toughest things to do is deciding which product, make hard tradeoffs, decide what a product should be. Done that with iPad. User experience is incredible. Suppose you could design a car that flies and floats but wouldn't do all of those things well. Thinks people will conclude they really want an iPad, will continue to conclude that. W: iPad mini vs. iPad? TC: Don't have old product, only new products. Provide fantastic iPod touch, iPad 4, iPad mini, iPad 2. Customers will decide which 1, 2, 3, or all 4. Learned not to worry about cannibalization. Better for Apple to do it. Better to cannibalize PCs. Thinks a great number of those people would be better off with iPad or Mac. Much bigger opportunity. Enormous incremental opportunity. TC: 1.3 million in Q4. Up over 100% year-over-year. Over 5 million in fiscal year, almost double previous year. Continues to do well, but the revenue is quite small compared to other businesses. Hobby but beloved hobby. TC: Think we've made great choices on products and prices. Guide for current quarter, wouldn't want to talk post that. Q: How could revenue growth dovetail? PO: Looking YOY and comparing sequentials, don't forget 14th week last year. (Talks about great new products). Q: iPhone 5, what is global rollout? Sprinkle/backfill or targeted? TC: Planned 30-40 prior to introduction, rollout in 2 different dates. Balance was planned with eye towards supply, what they think demand will be. Q: iPad mini pricing plans? PO: Didn't build small, cheap tablet. Full iPad experience. Difference between mini and competition is profound. 35% larger than 7-inch tablets, much better experience. 2 great cameras, FaceTime HD, 5mp iSight. Dual Wi-Fi, A5 chip. Fit and finish is breathtaking. Higher cost, gross margin is significantly below average, height of cost curve. Wants to make large number, get cost curve down. Like other products. TC: Create a product people will love for months and years after they purchase it, continue using it in a robust way. Mini is designed to do. Look at usage stats. 90% of web traffic on tablets from iPads. Apple won't make a product for the moment they pay for it, rarely use it again. Not the experience they want customers to have. Use iPad mini, won't use anything other than any iPad besides that. Q: Enterprise? -TC: Almsot all fortune 500 testing and deploying. Penetration will only grow. Global 500 above 80% both iPhone and iPad. Doing fairly well. Much more to do. Feeling good about it. Q: Component environment? Volatility on OI&E? TC: Doesn't see component shortage. Solved some challenges, feel good. General shortages, iMac will be constrained for full quarter in significant way. 21.5 in November, 27 in December. Short amount of time to manufacture and ramp. Shortage there. Others is how big is big on demand? Tough to predict. Bullish. Q: US activations growing faster? TC: Bulk of the world did not launch in, expected more significant growth in US than RoTW. Q: China iPhone 5 in December? TC: Yes, we expect it. Q: Expect to meet supply at end of December Q? TC: Not projecting balance. Feels great about manufacturing ramp. Supply significantly higher. Confident they can supply quite a few. When that balance occurs, can't tell at this point. Demand very robust. Q: Subsidized tablets on content and search, break even or loss? Would Apple consider that? TC: Seen low cost challengers before, iPad continues to beat every other tablet at every price. Thinks customers are smart, have high expectations. Want something that can do more. Making the best product will win at the end of the day. Stay true to that. Q: Change to supplier list adding complexity, cost structure? TC: Not sure what he's getting at, no significant change. No change that would have driven more cost. TC: No change driven any cost. Samsung continues to be their customer. Have commercial relationship. Q: Why is the time now for iPad mini? Gross margins anything structurally different? TC: Comments Steve made before about 7-inch tablets. Apple wouldn't make one of the 7-inch tablets. Don't think they're good products for many reasons. Different in realestate between 7.9 vs. 7 is 35%, usable area is much greater than that. 50-67%. iPad mini has same number of pixels as iPad 2. Access to all 275,000 iPad apps. iPad mini isn't compromised like 7-inch. Whole different league.